The difference from 20D version and 210T version? 20D version is lighter than 210T version. Please allow 10-14 days for delivery, thank you! I bought a single, i’m happy with the choice. The place is quite enough for a odnushka (in the photo there is as inside, put a sleeping bag to make it easier to understand the volume. 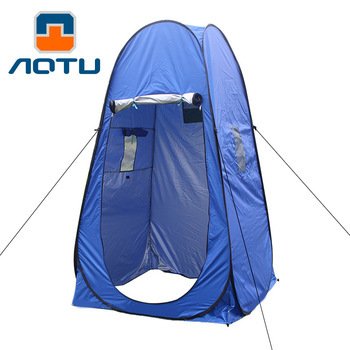 The tent is installed at home, do not stretch the pegs, so in fact it will be a little more.). About the subtlety of the awning… For me silicone like silicone… The bottom, of course, is thin, but comes with a futprint (mat). 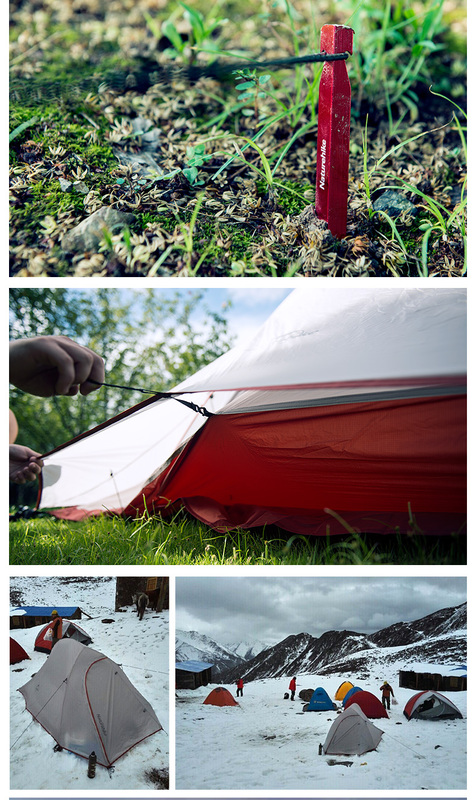 Also included are 12 pegs, braces, slings, awning, the tent itself, bags for all this. The weight of the tent with all the ropes, pegs, bags-1238g., the weight of the futprint in the bag-192 grams. Total all together 1430 In principle, some pegs and slings can not be taken at all and it will be easier. 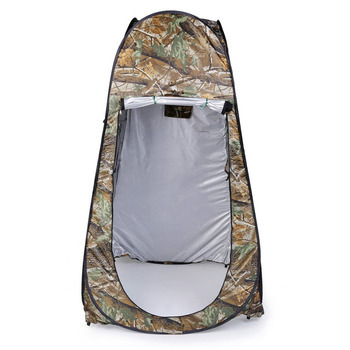 Inside the tent there is a small pocket for small things at the entrance and a hook for a flashlight on the “ceiling”))) tent, of course for a warm season, a lot of mesh, though there is no ventilation pocket in the awning. The zipper at the entrances is flimsy and snacks the fabric. Shipping 14 days. Packaging in dense cellophane. 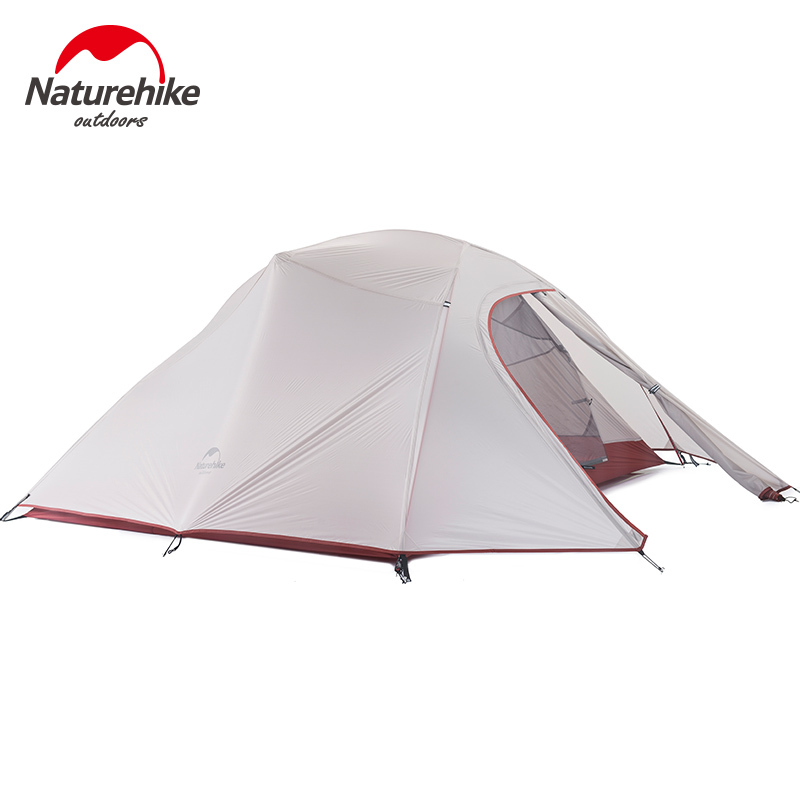 Very good tent, very satisfied with size and weight. Good materials. Excellent purchase. 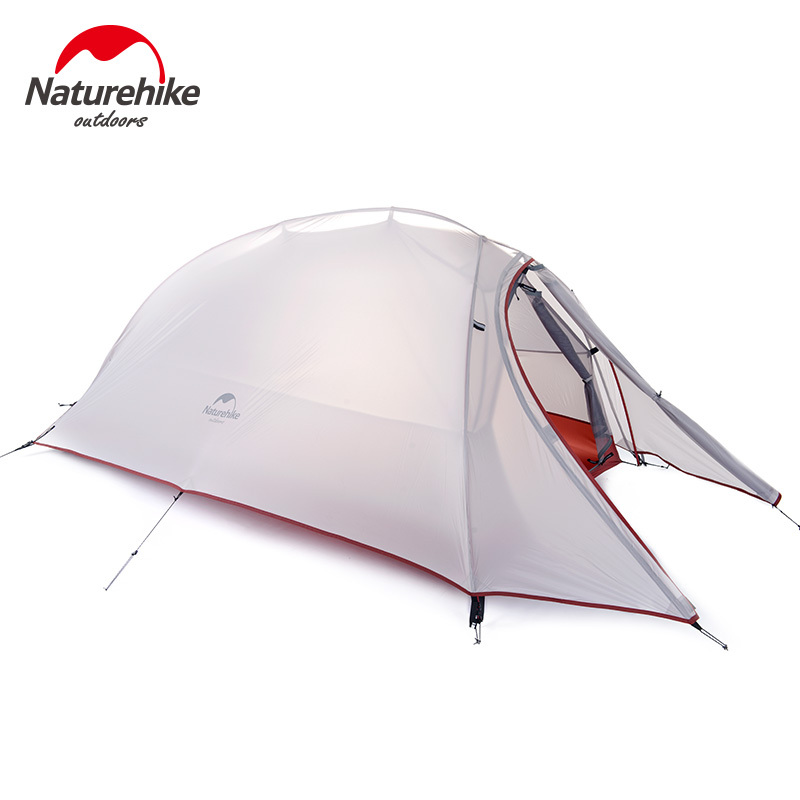 The tent looks great, excellent quality materials, low weight, compact package, fast delivery. I haven’t tested it at environment yet, but I’m happy with my purchase. Unfortunately, my parcel has been sent to the customs and I had to pay duty and taxes. I receive today. It look like the description. Looks very good. Will see how it works outdoor. 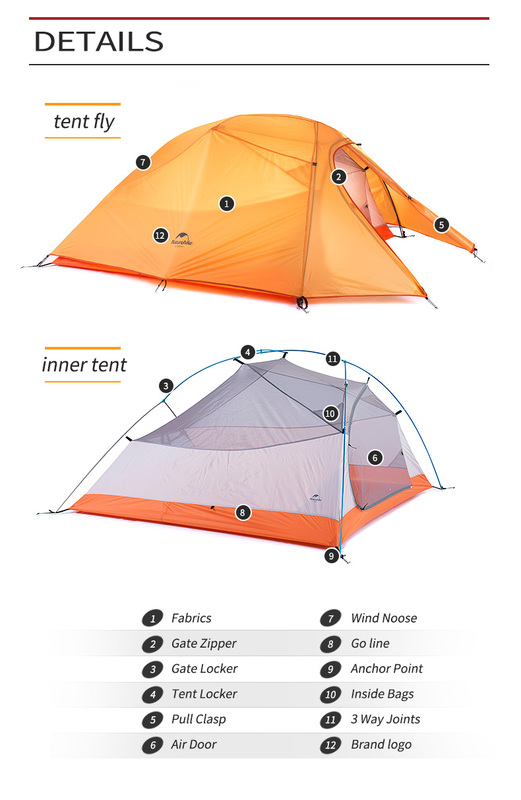 Single tent-really single. People up to 180 cm tall, i think, will be tolerable, higher-i’m afraid, do not walk in length. 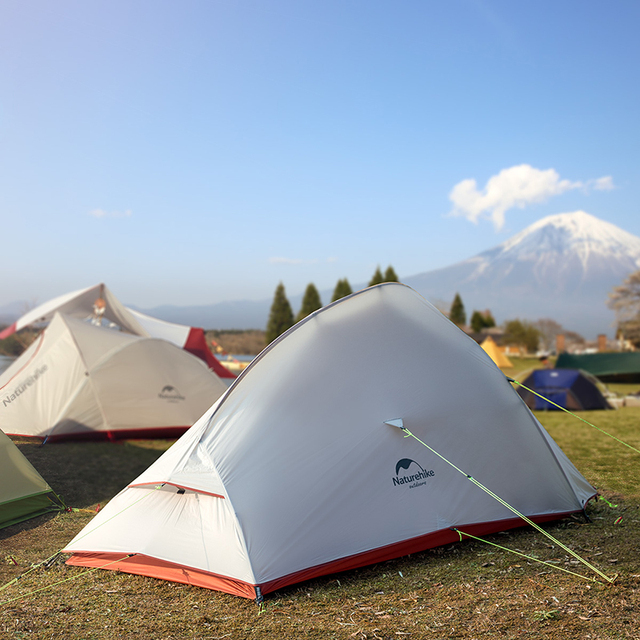 Side braces are mandatory, since without them the width of the tent will be only centimeters thirty-fifty. With my height of 175 cm and weight of 62 kg to me just right. Put the equipment down-i have enough space. Weight of the tent in the drain-1300g, futprint-193g. Everything is sewn qualitatively, i did not find any flaws. Only in the tent lay trimming threads, but these are trifles. Pegs and arcs are green. Color-light green, as in the photo of the store, only a little darker, pulls bright green (between green and yellow). In my photo, the color is severely distorted. I recommend to buy. 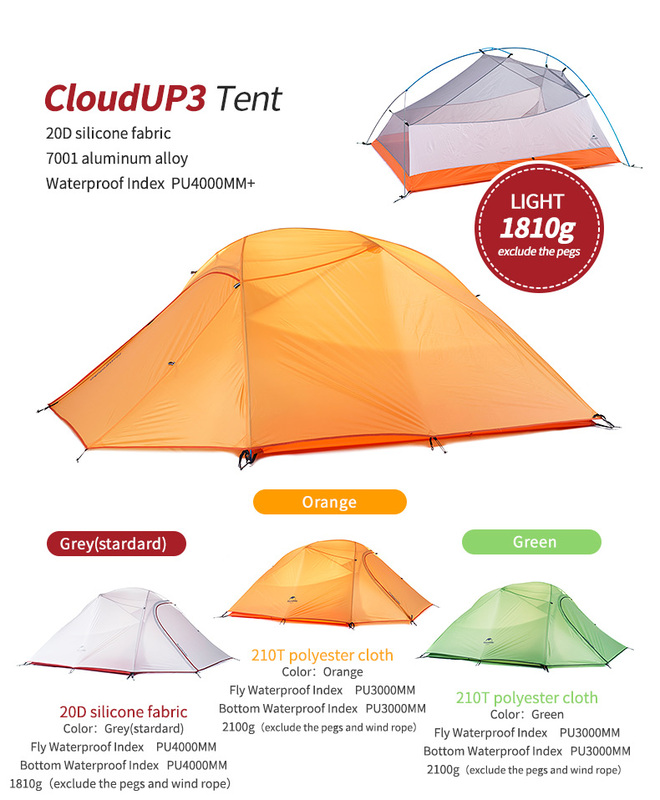 Delivered quickly in 20 days, the quality is excellent, all items are neatly packed. The weight is very small, exactly what i was looking for. I recommend. Ordered 09.03. Got 27.03. The buyer sent the goods more premium delivery than specified. From china to novosibirsk. The store immediately sent the goods. Until i installed, i checked only the conformity of the model to the order and the presence of components. Everything is fine. Previously exploited cheap options. This option is simply cosmic. Even the material to the touch is pleasant, sewing quality, the seams are glued. Took 3up 20d green. As i will test, unsubscribe. fulprint is included. In general, i recommend the seller. The tent came quickly, the kit is complete, without marriage, put quickly without problems, soon i will test in a hike in abkhazia. In general, everyone is happy, expectations justified. Delivery two weeks. 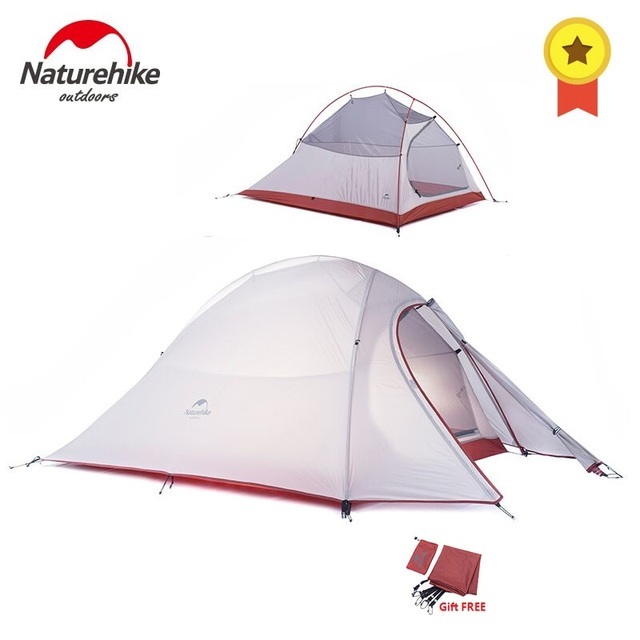 For easy travel, the tent is ideal. Weight 1,5 kg. The litter was included. 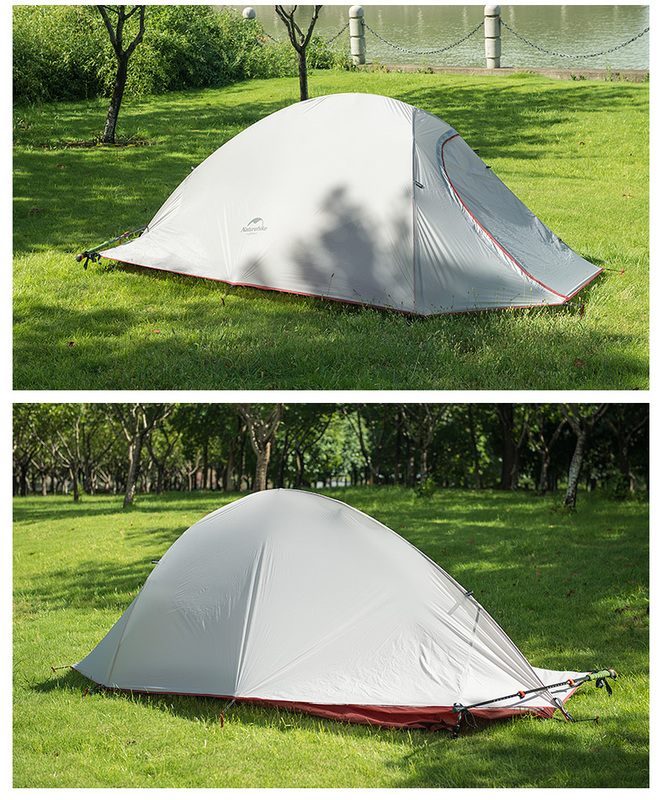 Aluminum arc has one-piece non-collapsible design. 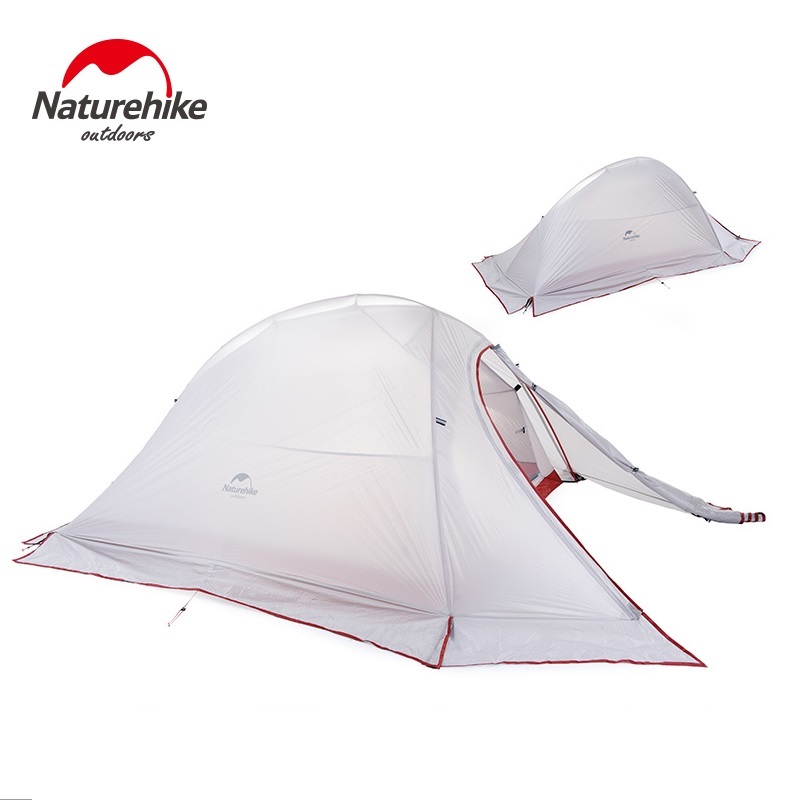 The material of the tent looks thin and it seems that with easy tension it will break. All the fabric is viewed and resembles a oilcloth)))). 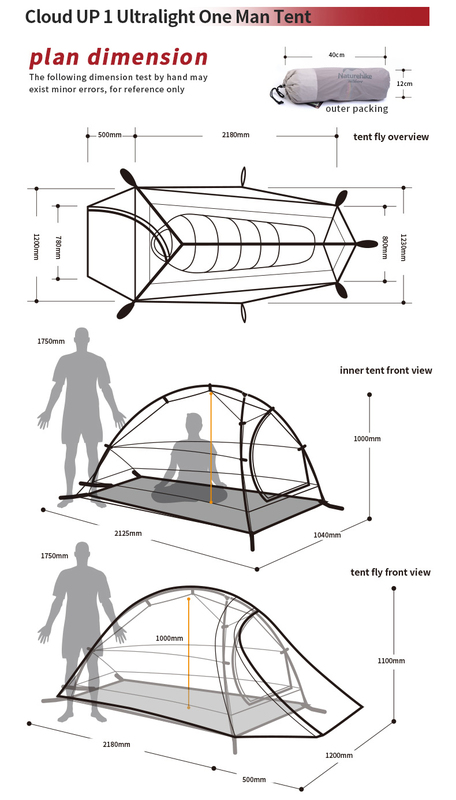 The structure of the tent is arranged so that it is placed two people head to the entrance. No other way. 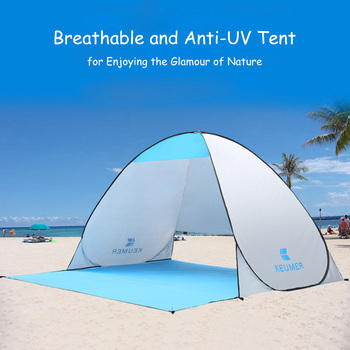 The inner awning for half consists of a grid. 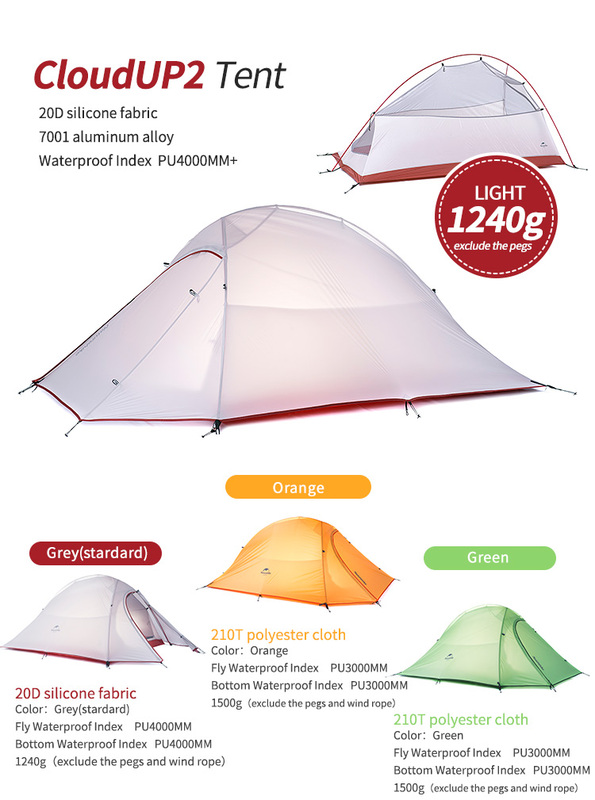 Based on the structure of the tent it is three seasonal. In winter it will be blown from below. Overall price/quality/weight at the level! I recommend for long trips for two! Already had the previous version which was amazing, this is even better. 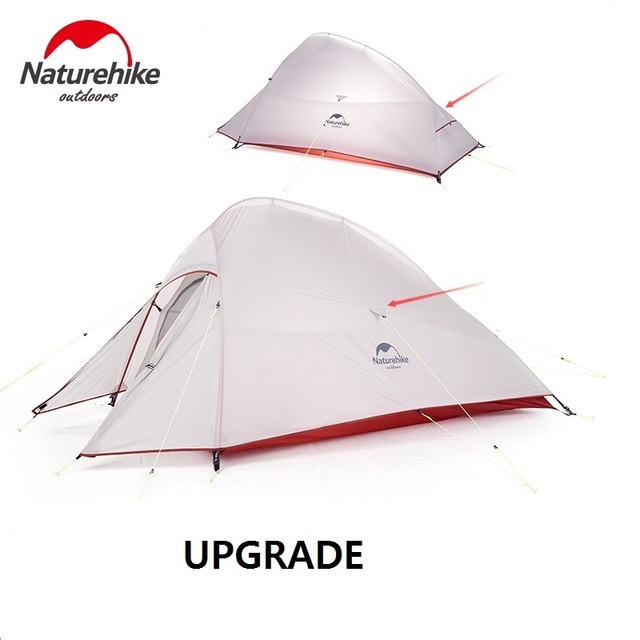 Amazing tent for this price! Super store too! The tent came to kiev for 10 days. 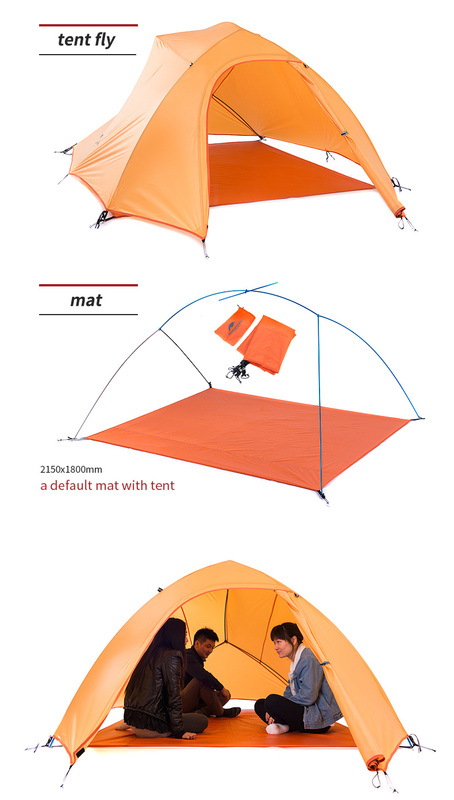 In full configuration with a mat weighs 2270 grams. I am very pleased with the purchase. I recommend the store. I am very content with the purchase. it arrived in Romania in more than 2 months. It looks and feel like a qualitative product. Set up is easy and the anchoring is inovative. 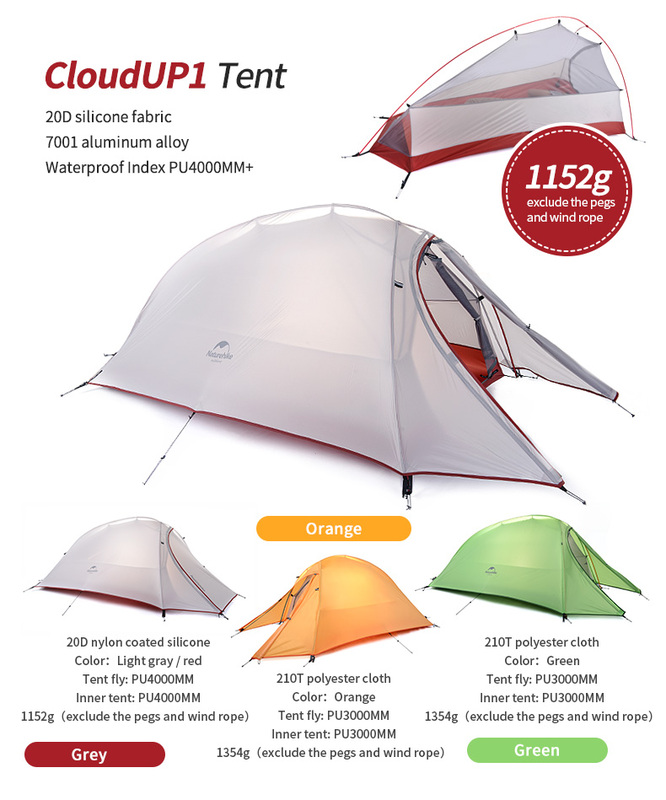 Can t wait to test it in real conditions, but I really feel it is a trustworthy tent. The product arrived in Ankara in 18 days. To the customs takılmadı. It looks very good quality and light weight. I recommend to friends to get it. But follow up the mail properly since benin sent 2 postam anonymous on aliexpress returned.